The dust has settled after primaries in four states on Tuesday; Minnesota, Wisconsin, Vermont and Connecticut - setting up competitive races for Senate, House and gubernatorial seats this November. And according to the Washington Post, Trump was a "big winner" last night. At least in Republican primary politics, Tuesday once again proved he’s the king. Republican politicians on the ballot Tuesday who dissed him in 2016 raced to undo that, and those who didn’t do it convincingly enough lost their primaries. Meanwhile, last week's GOP Kansas governor's primary also paid off for Trump - his riskiest endorsement yet, as Kansas Secretary of State Kris Kobach bested Gov. Jeff Colyer by a slim margin. Kobach helped to lead Trump's voter fraud commission. The Post notes that any Republican on Tuesday's ballot who went against Trump in 2016 (or now) "needed to pivot quickly." In Wisconsin, state Sen. Leah Vukmir did just that as she won her primary to challenge Sen. Tammy Baldwin (D-Wis.). She called him “offensive to everyone” during the campaign but endorsed him after he won the primary. Wisconsin Governor Scott Walker, who didn't compete in a primary Tuesday, but will face stiff competition in November, "twisted himself into a pretzel on whether he supports Trump's tariff policy," which Wisconsin's Harley Davidson has become ensnared in. 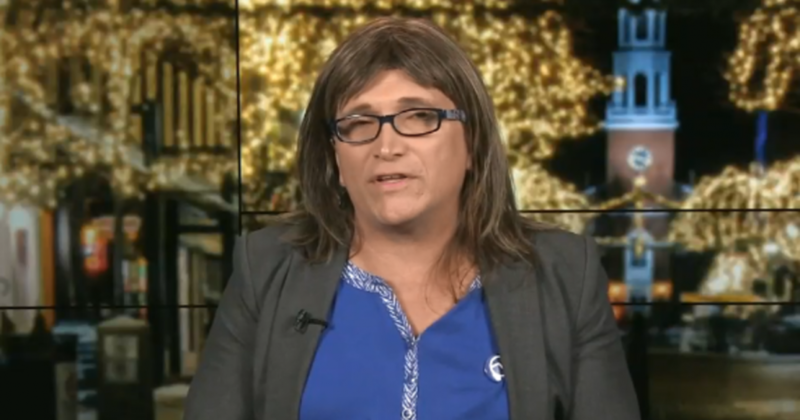 For the first time in US history that we are aware of, voters of a major party nominated an openly transgender candidate for governor; Democrat Christine Hallquist - who will have to work hard in November to pose a challenge to Gov. Phil Scott (R). In Connecticut, Democrat Jahana Hayes won her primary for Congress, which would mean she'd become the first black woman to represent New England in the House if she wins in November. And in Minnesota, Muslims Democrati Ilhan Omar won a primary, vying to become the first Muslim woman elected to Congress. Also scoring primary wins on Tuesday are admitted drunk driver Randy Bryce (D) of Wisconsin and Minnesota's Rep. Keith Ellison (D) who won the nomination for attorney general while under DNC investigation for claims of domestic abuse against two ex-girlfriends. The Post also notes that the Connecticut race for governor is setting up to be highly competitive in November - as both Democrats and Republicans nominated their favored candidates ("Democrat Ned Lamont and Republican Bob Stefanowski, both wealthy businessmen"). Also winning on Tuesday are "people who don't want white nationalists running for Congress" - after self-described "pro-white" nationalist Paul Nehlen got 11% of Republican turnout in Wisconsin on Tuesday, around 6,500 votes "for a guy who was banned from Twitter for racist posts."